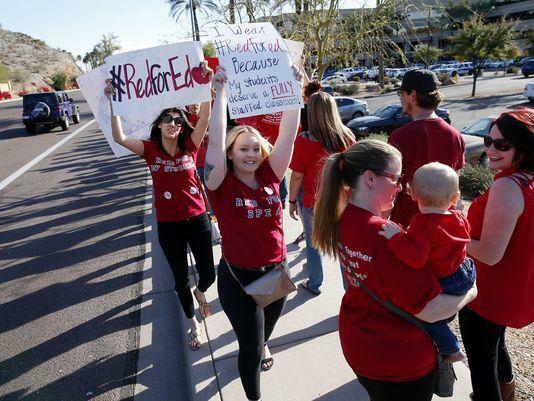 Teachers across Arizona are boosting their efforts to organize and plan for possible job actions as they work to secure better pay and school funding, even as Gov. Doug Ducey signed a measure Monday extending a sales tax that ensures budget certainty for schools but does not add to current school funding. Teachers protest in Phoenix earlier this month. 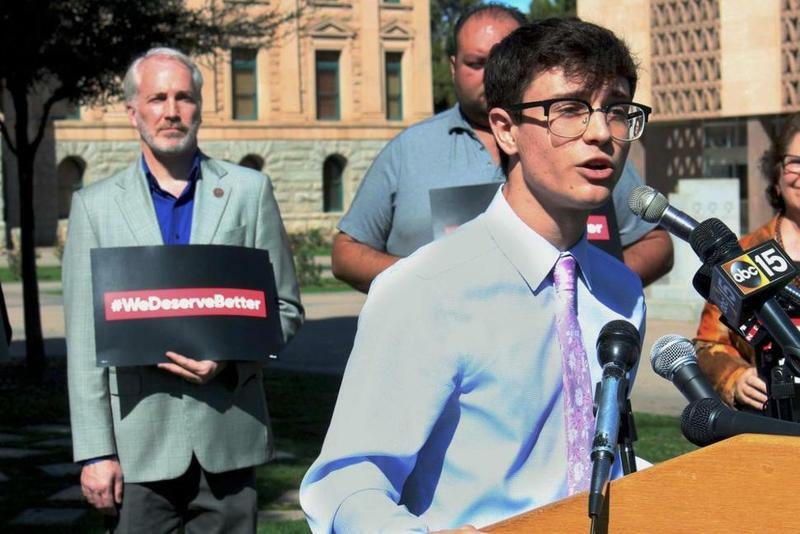 Arizona Educators United organizer Noah Karvelis held a news conference with other members in Tolleson on Monday to outline efforts targeting parents, school districts and communities and "walk-ins" at schools to boost visibility. Walkouts or strikes aren't immediately on the agenda, although Karvelis said it could come to that. He said there is support for some type of job action. "Whether that's a stoppage for multiple days, whether that's something like what Pendergast did with a sickout, I'm not sure what people have in mind," he said. Last week, a wildcat sickout by teachers in the Pendergast Elementary School District in west Phoenix and parts of Glendale led nine of 12 district schools to close.  The measure Ducey signed will replace Proposition 301 for 20 years when it expires in mid-2021 and extends the 6/10 of a cent sales tax included in the 2000 measure to fund K-12 schools, universities and colleges, with most going to K-12 schools. Karvelis said extending Proposition 301 is necessary because teachers rely on the extra pay it provides. "But we need to see more — we need serious discussion about serious pay raises," he said in a Sunday interview. "Something bigger than 301 needs to happen. We need something to keep teachers in this state, and that's going to take a significant pay raise." Ducey signed the measure at his office with former Gov. Jane Hull and legislative leaders. Hull championed the measure in 2000. The sales tax brings in about $667 million annually. Public K-12 schools get the bulk of the cash, about $500 million a year, but universities and colleges and bond interest payments also get a share. 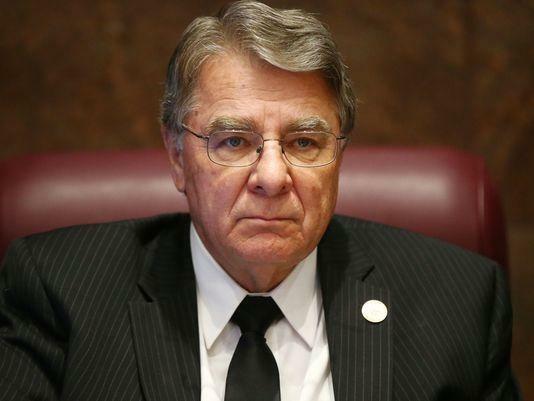 Ducey spokesman Daniel Scarpinato said Monday that the governor has been pushing available cash to schools and noted an auditor general's report showing teacher pay rose by more than 4 percent between the 2016 and 2017 budget years. "I think this is movement in the right direction, but more needs to be done," he said. Adjusted for regional local cost of living, federal figures from 2016 show elementary teachers in Arizona rank 50th in earnings nationally and high school teachers 49th. Ducey awarded teachers a 1 percent increase in the current year's state budget, plans another 1 percent in the coming year and is proposing to add $100 million in funding for districts as a start toward fully restoring $371 million in capital funding cuts made since the Great Recession. More than $117 million of those capital cuts occurred under Ducey's first spending plan in 2015. 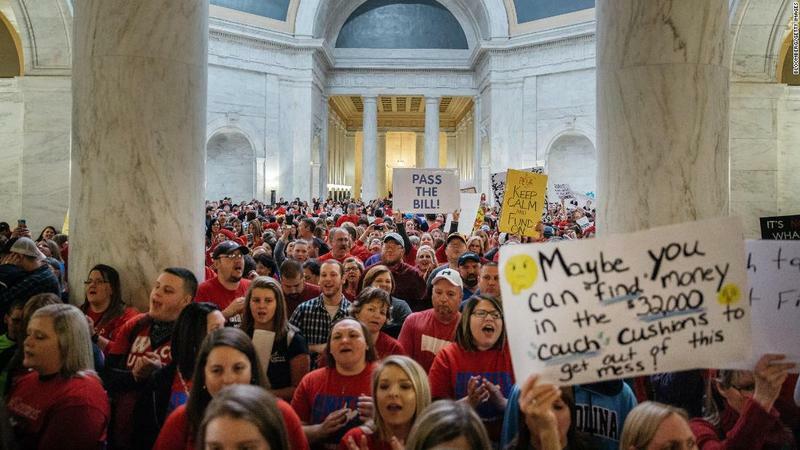 Karvelis started the group in early March as West Virginia teachers were on strike over their pay, eventually getting a 5 percent pay boost. The Arizona group quickly swelled to more than 36,000 members. The group on Wednesday plans to unveil its demands for compensation and school funding at a state Capital event. Karvelis said its next steps will depend on how the Legislature and Ducey react to their demands. "I don't think anybody in the state is really expecting to see them meet a lot of these demands," he said. "There doesn't seem to be a lot of movement from them."